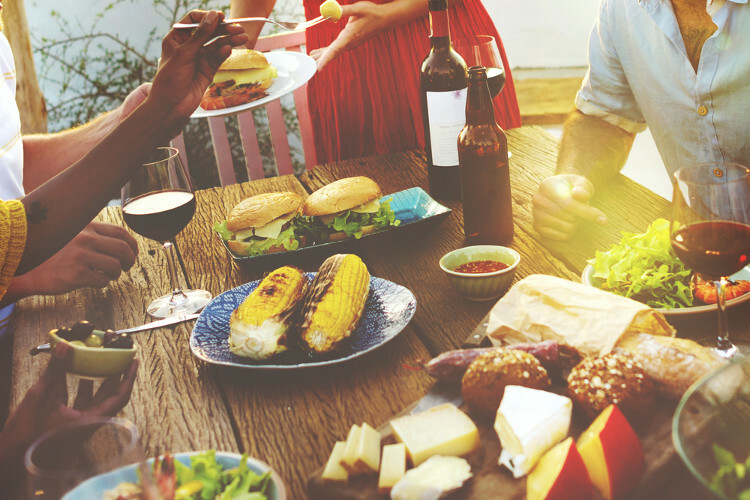 Whether you’re hitting the festival circuit in your food van or you have a string of summer weddings to cater for, make sure you’ve got these summer catering equipment essentials to keep your customers happy. A very valuable piece of equipment during summer! Cold drinks attract customers when the weather is hot, so it’s important to invest in an ice-maker that can keep up with demand. If you’re going to be making an array of summer cocktails at your event, it may be worth investing in an ice crusher, perfect for creating refreshing mojitos, daiquiris, mint juleps, or slush-type drinks. D.C DC100-60A Self Contained Ice Machine – produces solid cubes of crystalline ice that cool quickly and melt slowly. Hoshizaki C-105 Ice Crusher – Small enough to place on bars or counter tops. Who doesn’t love grilled food during summertime? There’s so much you can do with a grill – meat, fish, vegetables – everything just tastes so much better cooked over a smokey grill! Invest in a grill that allows you to cater for your crowd no matter where you are, Lincat have some great options. Pizza is such a versatile food that’s quick and easy to make. Different toppings allow you to make this firm festival favourite your own, and not needing a knife and fork to tuck in makes pizza the perfect on-the-go food for serving at outdoor events. If your menu is solely dedicated to pizza or you expect it to be a popular item, we highly recommend a double oven to save on waiting time! Lincat Double Electric Pizza Oven – high powered single piece firebrick based oven for crisp base cooking is perfect for deep pan, thin crust, fresh dough, part baked or frozen pizzas. Lincat Electric Pizza Oven LPO – ideal for small takeaways, cafes or snack bars. Recommended for thin crust pizzas only. Juice bar vans have been cashing in since the ‘juicing’ craze recently hit the UK. It’s showing no sign of slowing down anytime soon, so start experimenting with fruity combinations and buy in the right equipment to keep your creations smooth and cool! The quality of your food, its freshness, and its shelf life each have a direct impact on the success of your catering business, so you need to have a commercial fridge that can keep up with lots of customers and summer heat. Tefcold Under Counter Fridges – provides reliable refrigeration whilst saving space. Lincat Refrigerated Preparation Station – A freestanding refrigerated pizza and sandwich station that is versatile, flexible and hygienic, perfect for pizza and sandwich sellers. We have a huge range of commercial catering and refrigeration equipment available on our sister website, Cater Appliance. If you can’t find an item that you’re looking for or need some advice, please don’t hesitate to contact us on: 01228 522481 or email: info@refrigeration-mitton.co.uk and we will be happy to help you. For the latest news, events and offers, Like our Facebook page and follow us on Twitter!